A hygienic lifestyle is very important for everyone. People have to stay hygienic and clean. It protects us from many types of bacteria that can create several diseases. So, people have to clean their all things that they use regularly. Here, we can remember about the towel. This is a basic thing that everyone has to use. People need to keep it fresh and clean. For making the process easy, we can think about the towel warmer. 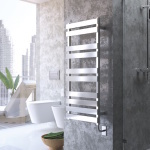 The towel warmer is a very good option that helps us to use a fresh towel every day. A huge number of people use it. In Europe, towel warmers are very popular. And there are many reasons that attract people to buy it and to use it. 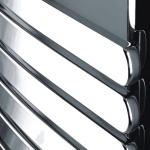 People may think that towel warmer is produced only to dry towels. But, this is not the truth. They can use it for various purposes. 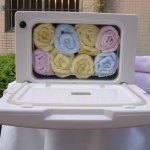 It is easy with these warmers for drying hand-washable clothes and delicate garments such as bathing suits or lingerie. It helps to warm their earmuffs, gloves, winter coats, mittens and scarf before going out into the cold weather. People get all these types of facilities, so they want to purchase it. 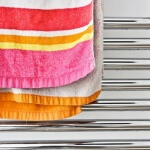 Towel warmers are designed in a different way. There are some special racks that can be heated with the power of electric. 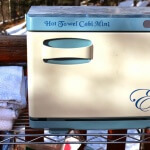 It helps to keep their clothes and towels consistently heated. People of Europe like this advantage because they know they will get their clothes and towel warm all the time. Many people have small bathroom and their ventilation process is also not good. In this situation, damp bathrooms and damp clothes can increase the growth of bacteria. 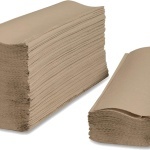 So, this is very important to keep their bathroom fresh and bacteria free. 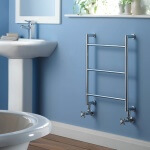 In this case, Europeans prefer to use towel warmer that helps them to prevent that place from getting damp. 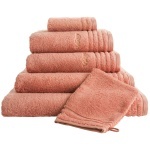 Towel is used for taking bath so it is very necessary to use a bacteria free towel. For this reason, people have to focus on the matter how to keep their towel fresh. 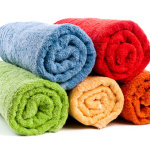 If they do not dry their towel after use it, they cannot avoid the bacteria that increase in their towel. The process of install this product is very easy. Anyone can do it. At the same time, the procedure of using it is also simple. So, people do not think much and they can buy it. People do not have to pay a huge amount of electric bill for this purpose. These are produced in a way that helps to save their electric bill. Individuals send their clothes and towels to the laundry for making them dry. In this purpose, they have to spend some money. Comparing to this laundry cost, they have to spend less money, if they use it. 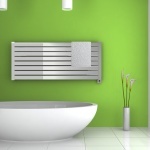 These are the reasons for that, persons in Europe like to buy these towel warmers.